Pages: 208 including notes, index and bibliography. This book is made up of six chapter. 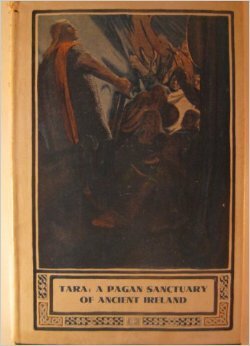 Chapter one is a detailed study of the site of Tara. Macalister draws a picture using the Dindshenchas, mythology and archaeology. It was really fascinating the way the author weaves the information he has to make us understand what is meant when we say Tara. There is a map of Tara in the beginning of the book. I photocopied it and kept it in front of me while I read the description. Chapters three and four discuss the Gods and the kings of Tara, respectively. These two chapters complement each other even if one doesn’t agree with them 100%. The reason for me buying this book was chapter five. The chapter discusses an assembly at Carman during Lunasadh. The author uses the Dindshenchas and Keating’s writings to give us a look at what these assemblies would have looked like and then extrapolating that to the assemblies at Tara. The final chapter of the book was about the last years of Tara, from Cormac to the last battle that was fought there…I felt a bit sad reading this chapter. It was called The Ending of Tara. I’m glad I found this book. I’m glad I came across another book that put me on to it. I’m glad I read it, and even after 84 years it is still very much relevant. Pages: 203 including index and bibliography. 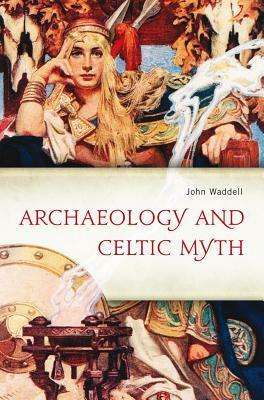 Synopsis: In this book, author John Waddell contends that elements of pre-Christian Celtic myth preserved in medieval Irish literature shed light on older traditions and beliefs not just in Ireland but elsewhere in Europe as well. Waddell mainly focuses on aspects of the mythology associated with four well-known Irish archaeological landscapes: Newgrange and the Boyne Valley, the royal sites of Rathcroghan in County Roscommon, Navan in County Armagh, and Tara in County Meath. Their mythological associations permit the pursuit of the archaeological implications of several mythic themes, namely sacral kingship, a sovereignty goddess, solar cosmology, and the perception of an Otherworld. I bought this book a while back, and kept it near my bed so that I could read it, but kept reading other books that I got after it. So finally I decided to read it. The book is made up of a Preface, seven chapters and an Epilogue. It also has some beautiful illustrations both black and white and colored. 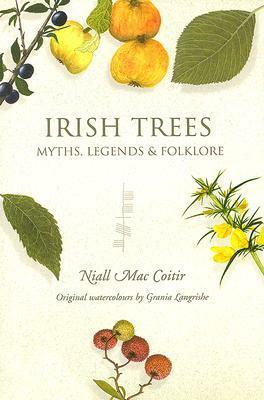 This book is a study of the elements of pre-Christian Celtic myth preserved in medieval Irish literature, which sheds a light on older traditions in both Ireland and Europe. This study focuses on the myths associated with four archeological sites: Newgrange and the Boyne Valley, and the royal sites of Rathcroghan in Co. Roscommon, Navan in Co. Armagh, and Tara in Co. Meath. I’m a little conflicted about this book. I liked a lot of things in it but I also hated a few things in it. I liked that the myths were being tied to archaeology and many of them were very convincing but some weren’t and I felt like it was a bit forced or not tied in correctly when it comes to linguistics. The writing style as usual was a bit dry but that is John Waddell for you. The pictures were beautiful. Also, the bibliography is a treasure trove. I did like the book, but I would be very careful with the associations that the author makes. He is an archaeologist, not a linguist or a mythologist. About eighty million people today can trace their descent back to the occupants of Ireland. But where did the occupants of the island themselves come from and what do we even mean by “Irish” in the first place? This is the first major attempt to deal with the core issues of how the Irish came into being. 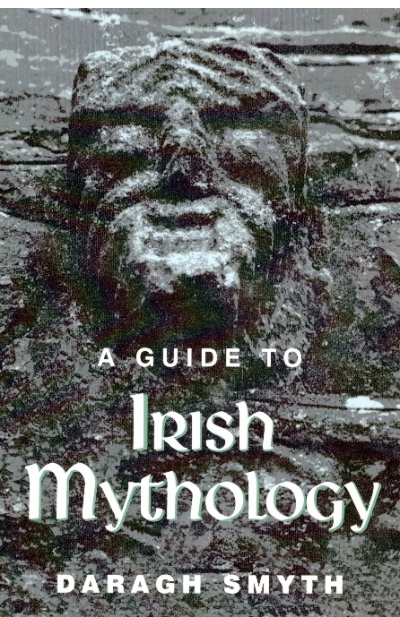 J. P. Mallory emphasizes that the Irish did not have a single origin, but are a product of multiple influences that can only be tracked by employing the disciplines of archaeology, genetics, geology, linguistics, and mythology. Beginning with the collision that fused the two halves of Ireland together, the book traces Ireland’s long journey through space and time to become an island. The origins of its first farmers and their monumental impact on the island is followed by an exploration of how metallurgists in copper, bronze, and iron brought Ireland into increasingly wider orbits of European culture. Assessments of traditional explanations of Irish origins are combined with the very latest genetic research into the biological origins of the Irish. This book is really hard to rate, in some places I loved it, in others it was okay and on occasion I found myself thinking hmmmm. The beginning of the book was a bit jarring because of the bit of humour that Mallory tried to infuse in it and once I got passed that and the fact that he no longer sounds like the dry Mallory of old I really got into the book. Mallory does a great job in this book of explaining a few things that have always baffled me like the absence (or not) of La Téne or Hallstatt material, the Irish Iron Age and what we really know about it and so on. The book was a good mix of history, science, language and archaeology. It was not boring to read about the pieces of archeological discoveries he discussed because he puts them in their historical context rather than just telling you from when they date and what they looked like. I liked how he began each chapter with his ideal “Irishman” Niall of the Nine Hostages and how that beginning always gave you an insight into what the chapter was going to be all about. The conclusions at the end of each chapter were a great way to get the main ideas of the chapters incase you needed to go back and look something up but you weren’t sure exactly where it might be. Have I learned the origins of the Irish, well no, but I have learned all the different theories and way used to look into the subject. I think this is a book that deserves more than one reading to really get everything that Mallory is trying to say, I see a few specific readings of different chapters with lots of supplementary research in my future.